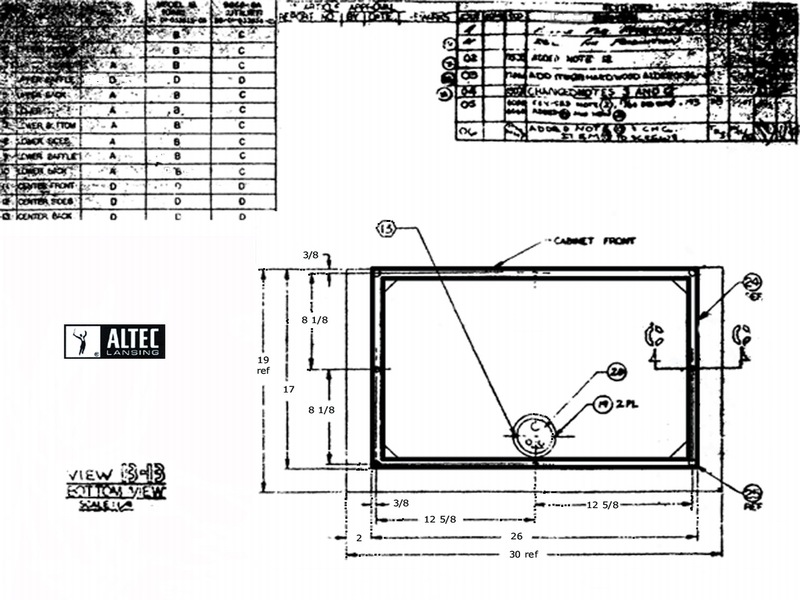 Follow the links below to download and print sections of the Vintage Altec Lansing Model 19 Cabinet Plans for use in your wood shop. 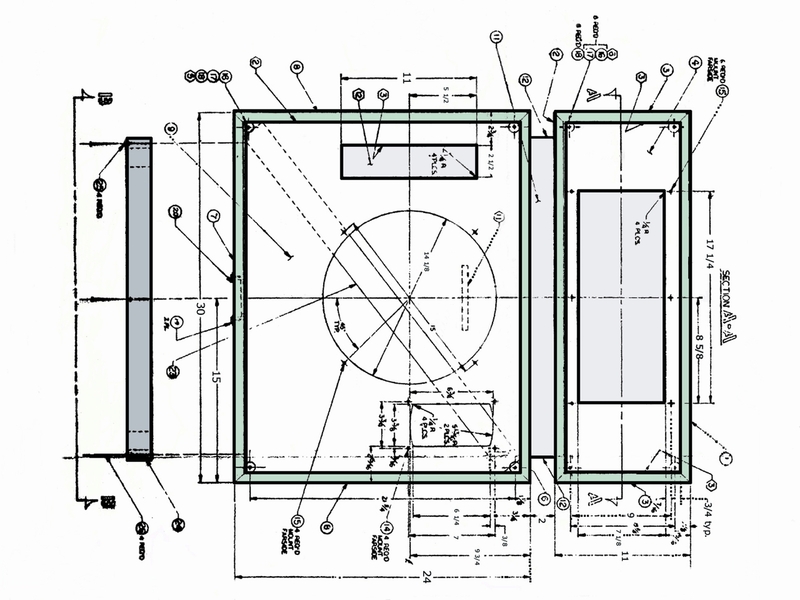 Refer to the Model 19 Cabinet Plans page for NOTES that accompany the plans. A WALNUT VENEER LAMINATED TO PARTICLE BOARD CORE (45 LB. DENSITY) 3/4" THK. TOTAL PER ALTEC SPEC 3A390. 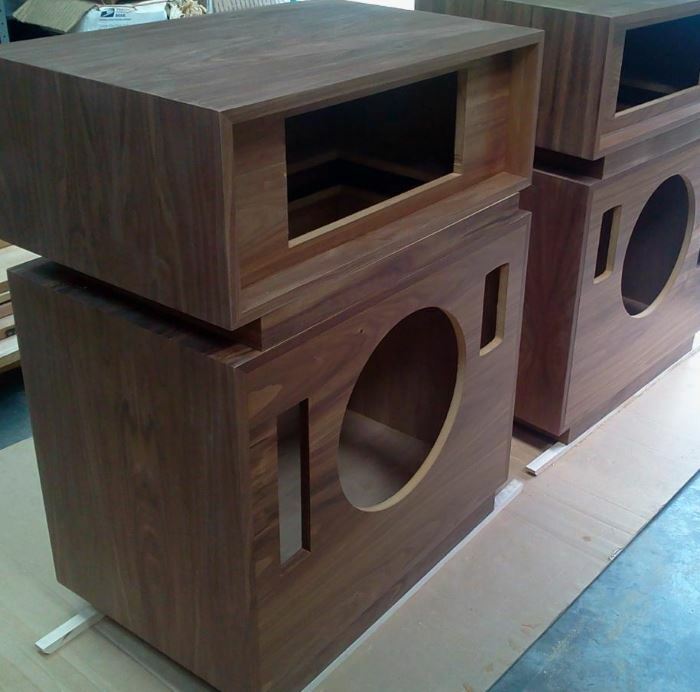 FINISH: OILED WALNUT PER ALTEC SPEC 3A391. B PLAIN SLICED RED OAK VENEER LAMINATED TO PARTICLE BOARD CORE (45 LB. DENSITY) 3/4" THK. TOTAL PER ALTEC SPEC 6A624. FINISH: OILED RED OAK PER ALTEC SPEC 6A696. 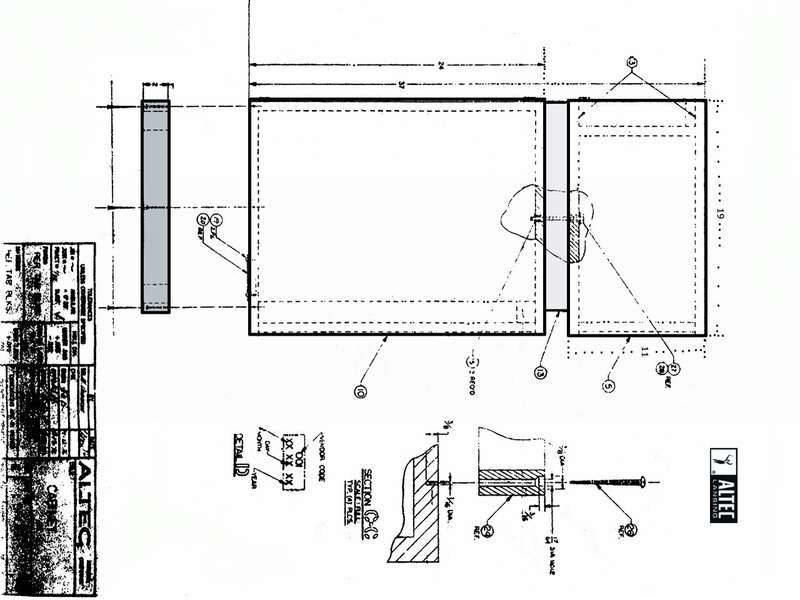 C BIRCH VENEER OR APPROVED EQUIVALENT, LAMINATED TO PARTICLE BOARD CORE (45 LB. DENSITY) 3/4" THK. PAINTED BLACK WITH SEASIDE L2101-66 PAINT. D .006 THICK VINYL, COLUMBUS K-6-SC004 BLACK MOROCCO. LAMINATE TO 3/4" THK. (45 BL. 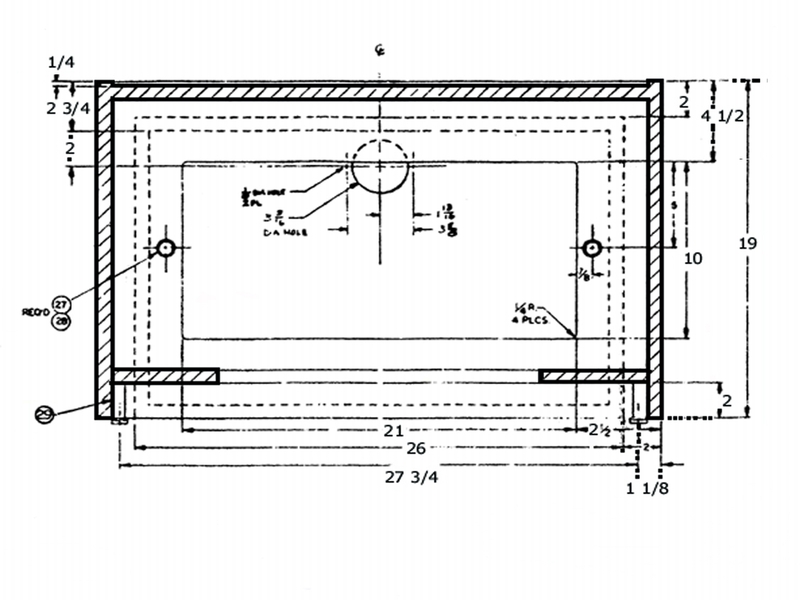 DENSITY) PARTICLE BOARD. Thanks to Art J. for his Photo-Shop efforts in producing these jpg images.